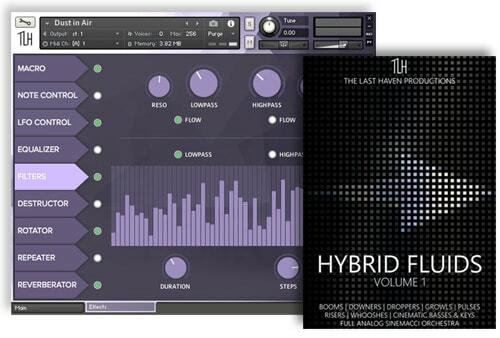 "Hybrid Fluids Vol.1" is a massive collection of sound design tools and playable instruments created for writing tracks in the styles of hybrid soundtrack and trailer. This library is an experiment done by The Last Haven Productions, an idea of what the modern sound design can be when it’s created only with synths. The result is a raft of very stylish, juicy, yet musical effects and instruments that fits any track and can incredibly augment it. "Hybrid Fluids Vol.1" contains traditional sound categories (Downers, Risers, Boomers, Pulses), new experimental packs (Droppers, Strikers, Growls), a bunch of cinematic synth basses and keys and the full synth rendered Sinemacci Orchestra with 4 main sections: strings, brass, woodwinds and percussion. All of it means over 20 GB of sound sources partly compressed to 10 GB. 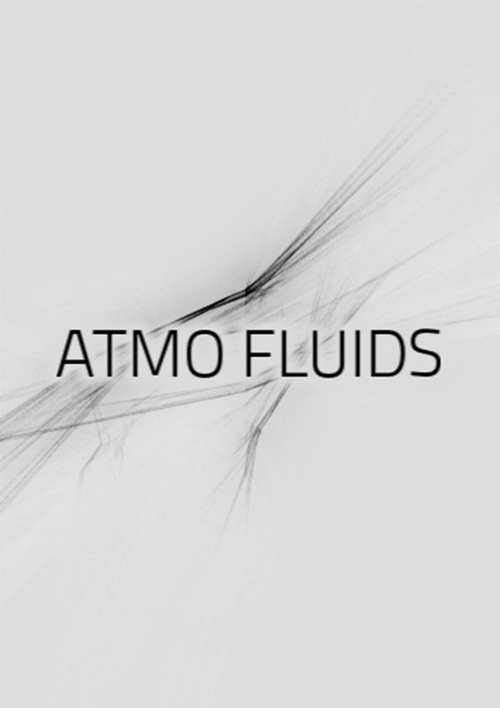 "Atmo Fluids" is the new part of "Synthesis" series by The Last Haven Productions. This library is designed to augment your compositions, to add an extra layer. It contains 2 sound cores. "Static" core gives you evolving atmospheric pads, and "Pulse" core distributes various rhythmic textures. 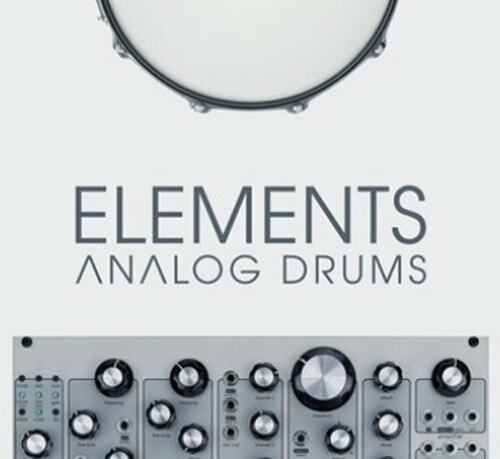 "Elements: Analog Drums" is the second library in our series "Elements". This small yet useful volume contains drum one-shots designed purely with analog synthesizers. The usability of these drums spreads across many styles and genres – from trailer and industrial to pop and lounge. We also added our signature Nine Drum Industrial Kit – recorded with 9 different keyboard synths including Korg, Yamaha, Casio, etc.